LibreOffice is a freeware office suite that includes word processor, presentation, vector drawing, database and spreadsheet applications. It’s based on the same code OpenOffice. LibreOffice has now been updated with a redesigned UI and additional options. This is what’s new in the updated version. Firstly, LibreOffice’s UI has been revamped. On the right of the word processor window there is a sidebar with options for styles, properties and galleries. In addition, you can also select the Navigator tool from there. The right-click context menus have been reordered with Cut, Copy and Paste options placed at the top. The status bar has been enhanced, and the ruler bar is also redesigned. The Track Changes tool now has new options and icons. Click View > Toolbars and Changes to open it as below. It includes options to accept and reject changes that automatically jump to the next change. You could add shapes to documents in previous LibreOffice versions. However, in the updated version you can also add text to the shapes. Click the Basic Shapes button and select a shape to add to document. 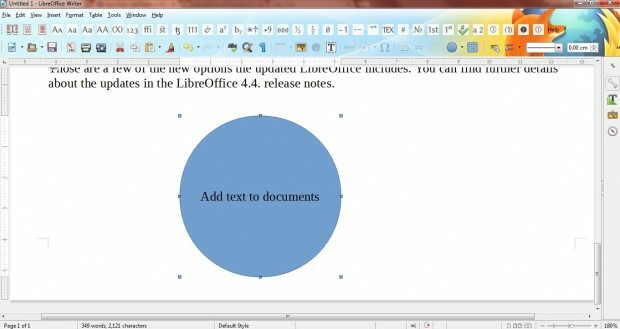 Then double-click the shape in your document to add text to it. The Writer context menu includes a new Paste Special option. You can select that option to paste text into a document without any formatting. Right-click a document, select Paste Special and Unformatted text to paste without formatting. 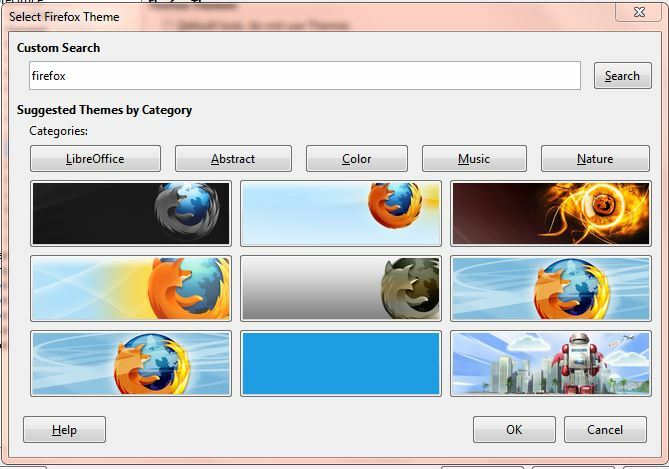 There’s a new browser for Firefox themes. Click Tools > Options > Personalization to it as below. The browser includes a search text box and thumbnail previews of themes that match the keywords. LibreOffice’s presentation software now supports OpenGL transitions. Click Slide Transitions in the Impress sidebar to select a transition. In addition, you can now save presentations with passwords. Click File > Save As and select Save with password. 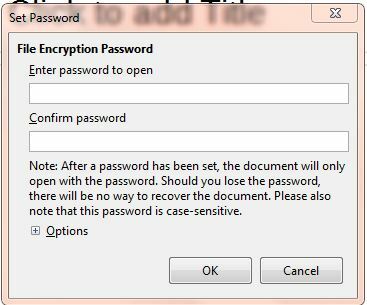 Then enter the password in the text boxes below. Those are a few of the new options the updated LibreOffice includes. 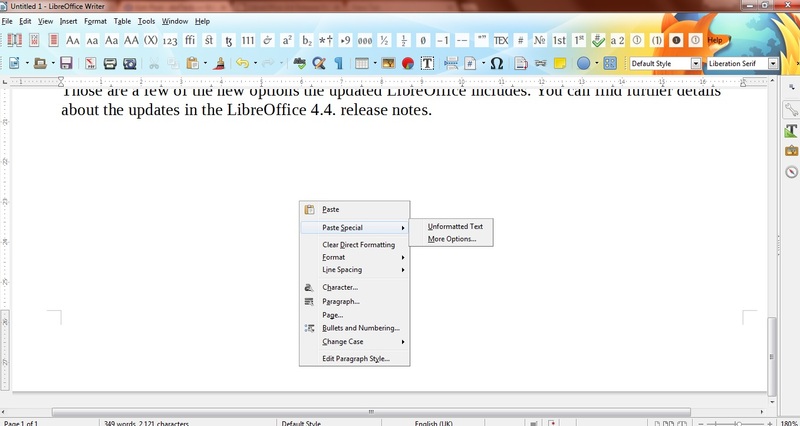 You can find further details about the updates in the LibreOffice 4.4. release notes .